“Character,” said head coach Jocelyn Barrieau when asked about the key to her team’s success in Sunday’s Kelly-Anne Drummond Cup. The match pit Concordia’s women’s rugby team against cross-town rivals McGill. “We showed a lot of resilience when out backs were pushed against the wall,” she added. 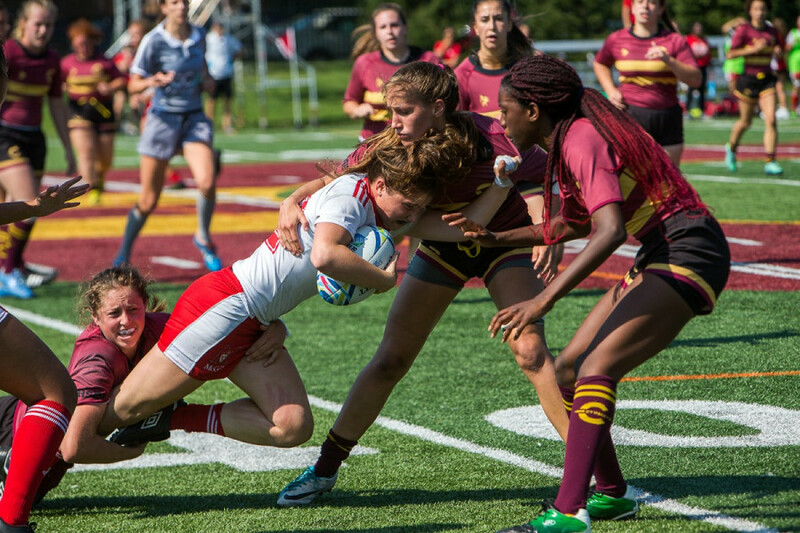 This resilience was demonstrated by her squad following their second try in the first half, as they brought the score to 10-0 in favour of Concordia. 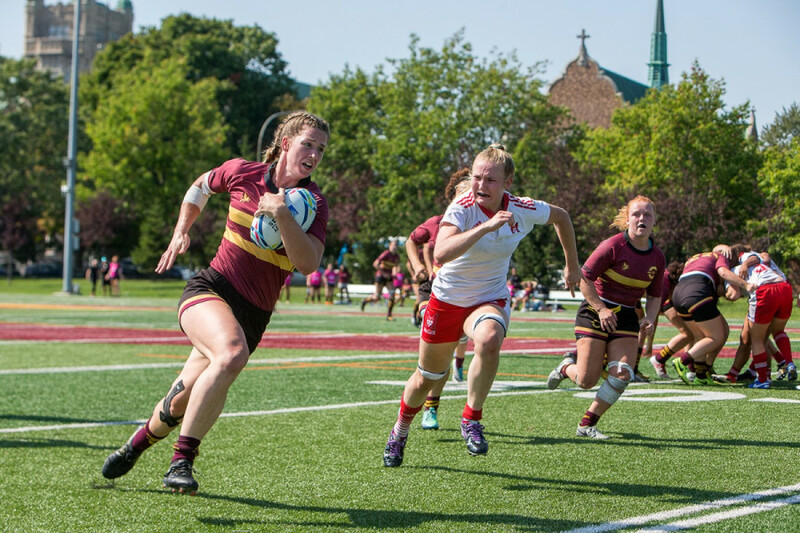 The Stingers, pushed back on their own try line, managed to keep the Martlets at bay on three straight occasions. The sequence was an absolute defensive clinic put on by the home team. “I think all of our players came out, did their best, lifted our team up and we really played as sisters,” said third-year player Samantha Molnar. An emotional and profound team circle at the end of the game showed the great camaraderie amongst coach Barrieau’s ranks. The Martlets put up a decent fight, but the Stingers weren’t going to be stopped. Every McGill try was swiftly answered by the Stingers with a try of their own. Concordia’s strong performance was marked by the fact they did not trail at any point during the game. Although it was a definite team affair, second-year player Shawna Brayton was a standout in this one. The forward, moved to back for this game, scored two tries and converted to put two points on the board. Having experienced defeat at the hands of the Martlets last season, the Stingers veterans did not want history to repeat itself. Emotions were indeed at a high during the game, as it was both a celebration of Kelly-Anne Drummond’s life and a rivalry game. Barrieau, who’s played for both Concordia and McGill in her playing career, said the game really meant a lot to her, emphasizing how great she felt about the atmosphere of the game and how it felt watching her team bring home the win. The game also marked the first time the Stingers took the field in front of their home crowd. Both coach Barrieau and her players agreed that it was a welcomed support. Since perfection is impossible, coach Barrieau knows there are certain aspects to work on for next game. “Effort is not what I’m dissatisfied with,” she said. “We just gotta fine tune a few little things. We definitely have work to do for next week. We’ve got a big one next week.” Converting extra point kicks might be one of the aspects the team will want to work on—they only converted on three of nine tries in Sunday’s game. 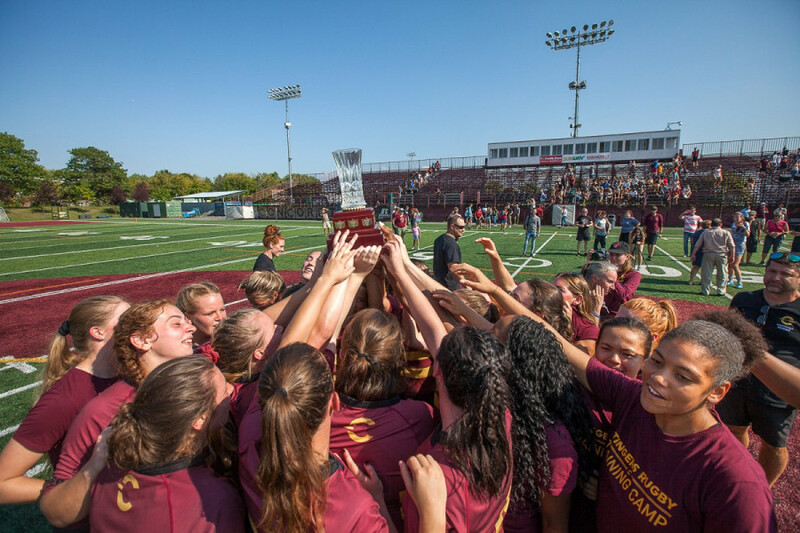 The Stingers will get a chance to put that work into effect September 22 as the University of Ottawa Gee-Gees will visit Concordia Stadium. The kickoff is set for 7 p.m. and the Stingers will look to improve their record to 3-1 on the season.